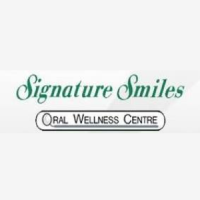 Welcome When you visit Signature Smiles, our goal is to become a partner in your oral care. From childhood well into your adult years we seek to ensure that you receive the best possible care that is both long-term and predictable. Dr. Konotopetz knows that a healthy mouth is a gateway to overall good health and achieving this for our patients is our priority. Our entire team is dedicated to providing you with the personalized, safe and gentle care that you deserve and that is sure to result in a beautiful smile.